It's an all-new Dexter adventure - his first time in comic-book form - written by his creator, Jeff Lindsay! Dexter Morgan isn't just Miami's No. 1 forensic blood splatter expert. He's also a serial killer - who targets other serial killers! But now, the deeply damaged Dexter must face his two worst nightmares: his high school reunion and a former classmate with a secret that could destroy him! And as if that weren't enough, Dexter and his detective sister, Deborah, are on a hot new case - that ends in flames! Dexter may have met his match, but did he help create him? Determined to prove how sneaky he really is, Dexter infiltrates his rival's lair - but has he actually stepped into a trap? The bodies are piling up under the hot Miami sun - and Dexter might be next! 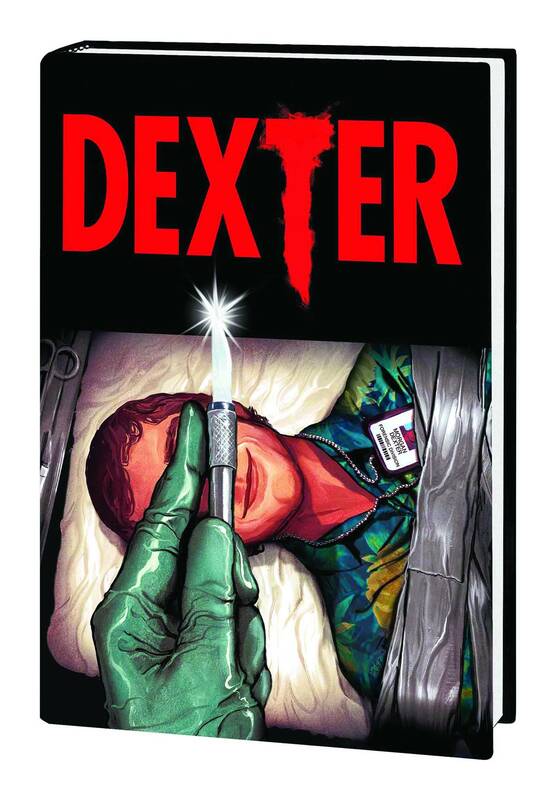 Collecting DEXTER #1-5.